The 6th iteration of Mitsubishi’s fearsome Lancer Evolution arrived in 1999, as a facelift and update of the Evo V.
Under the bonnet, the turbo 2.0lt inline-four 4G63 gained improved cooling properties with an enlarged intercooler and oil cooler, as well as different pistons and a new titanium-alumide turbine within the turbo housing. These enhancements lifted power output to 209kW and 373Nm of torque. Visually, the Evo V’s gigantic fog lights were downsized and moved further outboard of the bumper – though the special edition Tommi Makinen model gained a unique front bumper as well as embossed Recaro seats and white 17" Enkei racing wheels. 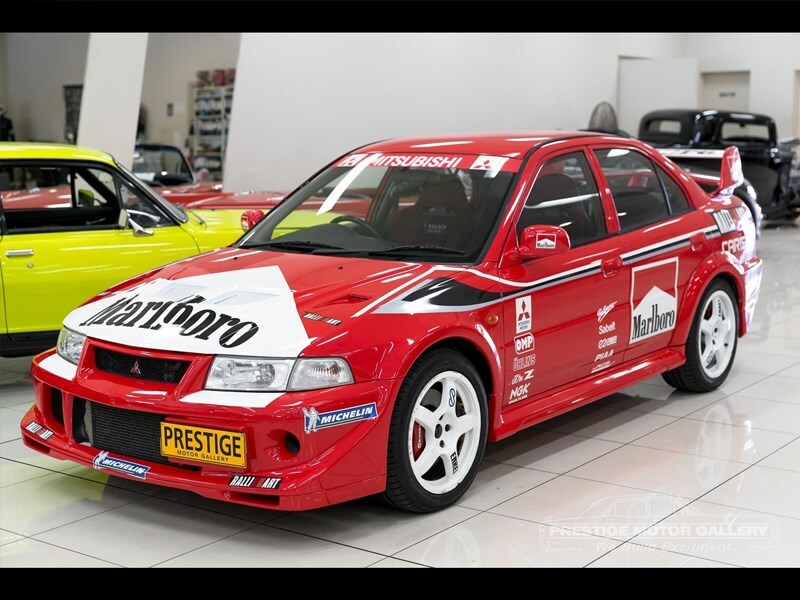 This Evo VI is a genuine Tommy Makinen edition with 120,000kms on it since new. The engine and turbo are all factory original, as is the interior trim. Though the car was originally white, it has since been resprayed in WRC Passion Red and been dressed as an exacting Group A replica livery, with period correct WRC Tarmac wheels. It certainly looks like a fun toy to have in the shed, and will turn heads at every show. The car is based in New South Wales, and is listed for $36,888.